Come on in! Our Book Sale is always open. 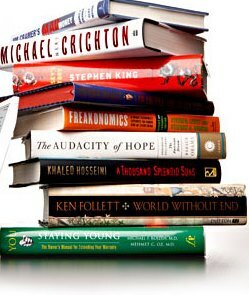 Browse through a wide selection of used and gently read items. Look for fun “theme” sales featured throughout the year like the “Spooky Scary Supernatural Sale” in October or our “Holiday Book Sale” in December offering books suitable for gift- giving. You’ll also find a display of like new hardbacks, including many bestsellers, near the Circulation desk for $1. Indulge your passion for reading and support the library too!